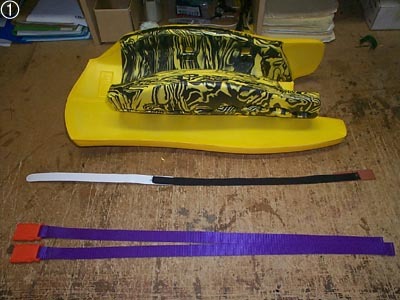 In my other review I covered four major subjects; weight, rebound, protection and drawbacks. I’ll try to do the same with this review. 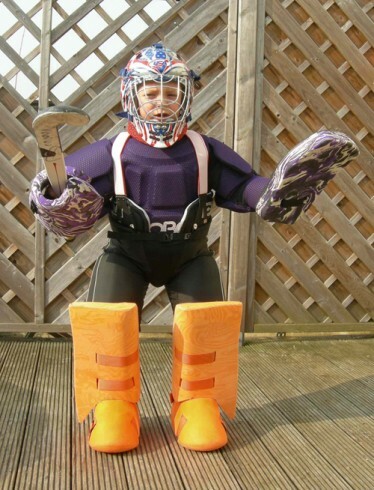 Being one of the smallest pieces of your kit, it has always seemed to me like kicker weight makes practically no difference to a keeper’s game. Well, so far I’ve played around 15 games with these kickers and I think now I can safely say I’ve changed my mind. Kicking is arguably the most important part of goalkeeping and I believe that, no matter what level you play, there is always room for improvement in this area. Because of my OGOs’ light weight, I’ve noticed I’m actually growing substantially more agile on my feet, allowing more controlled foot saves and quicker, easier running. Well, what can I say? I remember on my very first save with these kickers I was amazed by their great rebound, which sent the ball away from the goal with almost the same speed as it came in with. Needless to say, good rebound is an extremely helpful aspect of foot, leg and hand saves because it means that clearing a moving ball does not require a whopping great kick/punch. 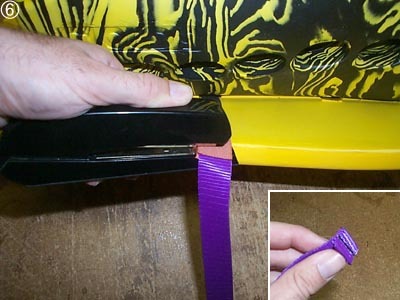 With my old kickers, I would often find (usually after running) that the strap at the back would slip down underneath my foot, allowing the kicker to slip forward, and expose my ankle. 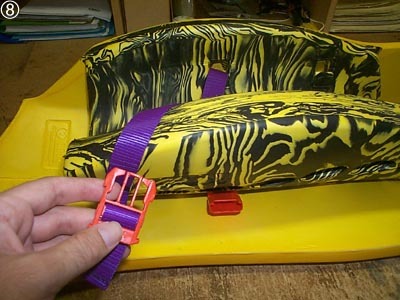 I can remember numerous times when I have been hit in the ankle due to this. 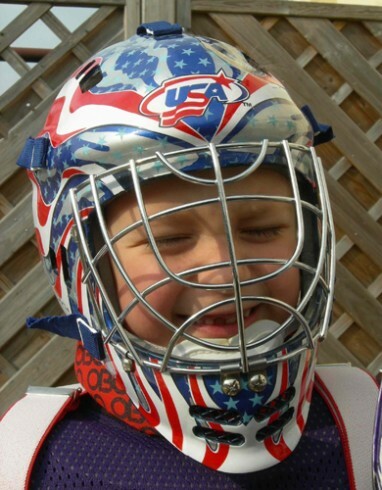 Well, I don’t know why, but this has never happened with the OGOs… Whether this is because of some amazing technology, or simply because they fit me better, I can’t tell you how much more confidence this has given me in the goal. 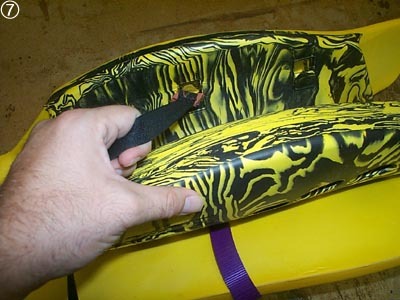 One problem I’ve found with the kickers (which, after reading other reviews, I know other people are familiar with as well), is that after a bit of action the front strap will slip in between the kicker and my shoe, actually raising the kicker high enough to expose my toes. I asked OBO in NZ if there was anything I could do to stop this from occurring, and they got back to me quickly with three great suggestions, one of which is working beautifully (Figure eights). I love this integrated locking system, although one problem I’ve been having is that the tongue tends to digs into my foot, which can be a bit awkward and sometimes slightly painful. One solution for this is to wear shin pads underneath your leg guards, which I like to do because it makes my leg guards in general more comfortable. 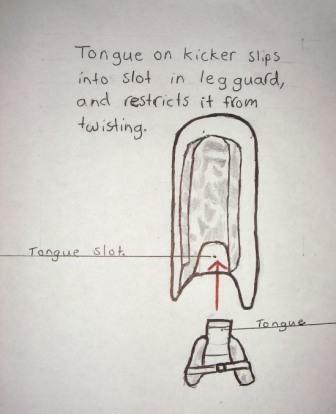 Another solution involves over-bending the tongue forward, holding it forward with tape, and blowing hot air on the inside of the tongue. In conclusion, I’d like to say that some people will like these kickers and some people won’t (I think most people will). Personally, because I prefer to play a more agile, attacking game, I like them. 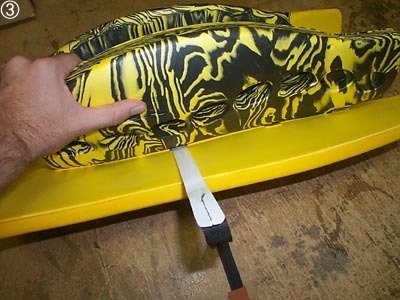 I hope this review has changed your perspective of OGO, like one training session changed mine. I waited anxiously on Monday morning, staring out the window till about 2 o’clock, when, suddenly, I saw a flash of light come down the road. As it came nearer and nearer, I got more and more excited, wondering what was going to happen and whether my life would change after this momentous event. Then the man walked towards me, dressed completely in red, and said “Please sign”. I could barely write as my hand was shaking so much due to the exhilaration. I managed to do so after 5 minutes, giving the red man his lovely pen back, soaking in sweat. He passed the package over to me and walked off. I did not know what to do; I was just so thrilled that it was finally here. I stayed, standing, at the front door for another 5 minutes, motionless, not knowing what to do. I then decided to rush into my bedroom alone to open the package. When I arrived in my room, I threw down the package, searching for a pair of scissors of anything sharp. There was nothing anywhere. I ended having to use my bare hands and teeth to get in. But it was worth it. When I opened the package, a huge light stared at me, almost blinding me. What was it? It was my new set of obo cloud leg-guards. I had my GCSE English Oral in 2 hours, which I had to attend. But I could not leave them. How could I bring them with me when I was going to talk about how John Steinbeck creates a feeling of sympathy for Lennie in “Of Mice and Men”? I just could not put them through it; I didn’t want to see them in pain. So, I took a bold move for the sake of my precious jewels, and chose to do my English Oral on the OBO Cloud Leg-guards. My teacher was amazed, saying she had never seen anybody so enthusiastic about a subject before. I got an A*, for which I took my leg-guards out to the local public house to celebrate. The next day, I had my first match with them. I was in heaven. This was my paradise, forget about rehab, treat ecstasy addiction with obo leg-guards. They were so light, weighing nothing like any other pads I had ever worn. When I put them on for the first time, I was amazed by the comfort. I did not expect it from such a hard outer foam. 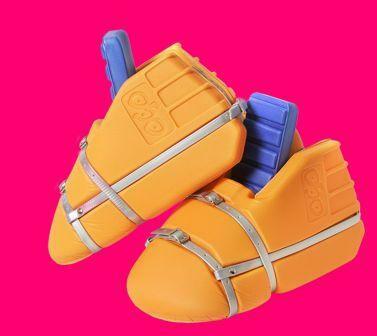 Fortunately, OBO put a different inner foam in, and this made them unbelievably comfortable. I loved the way they hugged my legs, as if they were actually moulded on my legs. When taking shots to them, I felt no pain, even when playing against the ex-international, who had injured his goalie before the game. This was amazing, I was playing the game of my life, I was on cloud nine. When I had a one-on-one just before half time, I slid out, and my leg-guards did not twist slightly. 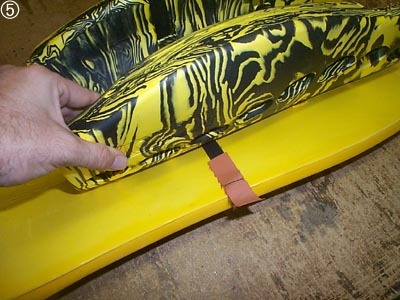 This was due to the right leg-guard being slightly narrower than the left and also the wing hinging system, obo have in place on all leg-guards. 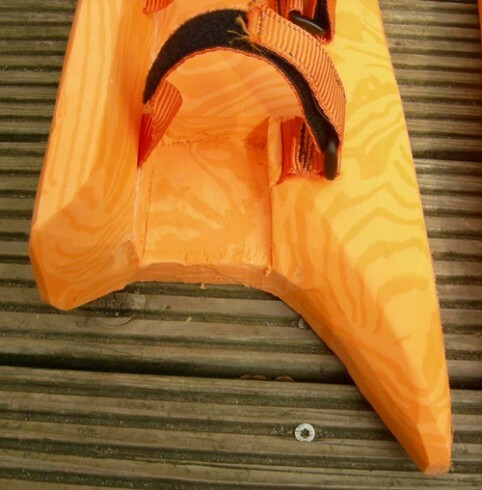 Then after the break, I went down to log at a short corner, which the top of my left leg-guard saved, showing how useful the extra width on the left leg-guard is. After the match, I noticed how for the first time in ages, none of my straps had come undone, unlike the opposing keeper, who was not wearing OBO, who had managed to become undone 5 times and lose one of his straps. I also realised that I had had no fear during the game of getting hit on the ankle or the knee, due to the design of these leg-guards. A month later, it was time to wash my darlings. I made sure the water was warm for them, the way they like it, before adding a cup of borax. I then decided to do the same with fabric freshener, just to make sure that their skin was not irritated. It also made them smell great, ready to play their part in the club day the next day. Everybody commented on how good they looked, and although they did not say so, they were really chuffed. A few years later, it was our anniversary and I was offered robo hi-control leg-guard’s. I said “Pah! No, how dare you even insinuate that! I will never leave them”. My pads had held up well over the years and there was no way I was leaving them now. 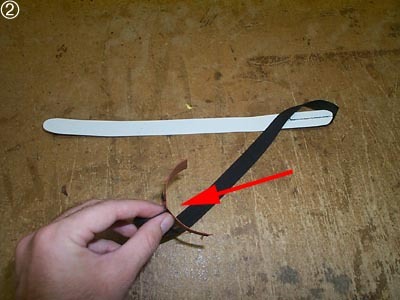 Even though the inners had started to split and the outers and inners had started to come apart, these could easily be fixed with glue. And, either way, I had become attached to them, we had gone through a lot together, and I would only let them go when the time was right. In the future, I would buy these again, and would be perfectly happy to play senior international matches with them in the future. Everything is great about them, I cannot fault anything. 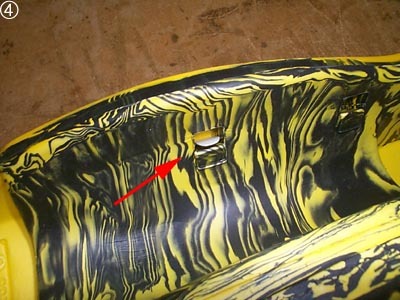 They are even easy to repair, even though they are very durable. 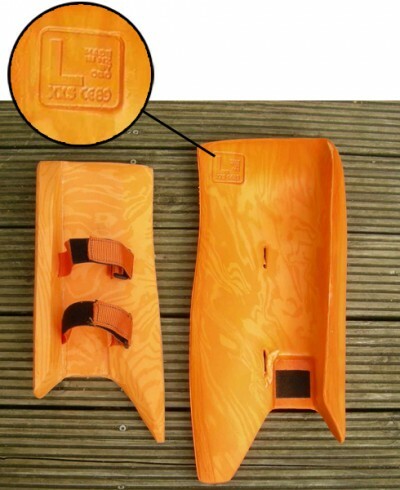 I would recommend these to anyone, who wants a good set of leg-guards at a reasonable price. Although they may be more expensive than some other brands, in the end they last longer and are better. 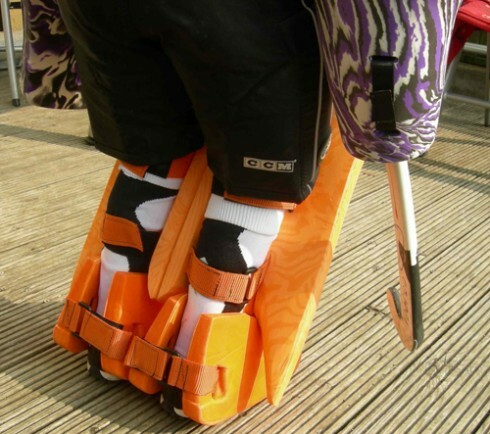 I have decided to write a review about my new OGO legguards (which I’m borrowing from my club), as I think many people underestimate the great aspects of ‘high control’ shaped OGO. When I was given the leg guards I was aware that OGO was the bottom of the OBO range, so I wasn’t too excited about getting them. I expected that they wouldn’t be strong enough, or I would hurt myself, or maybe they would be awkward and uncomfortable. 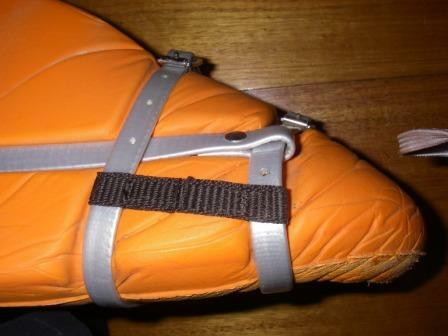 After just one training session I realised that I was completely wrong, and that there are in fact many great advantages with my new leg guards. 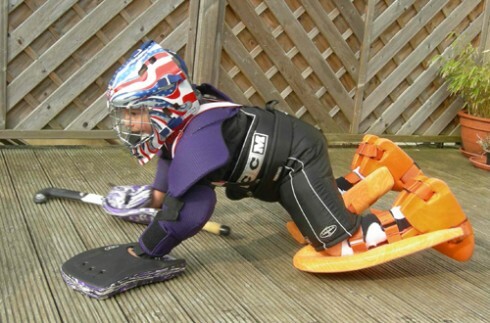 I prefer to wear less gear than most other keepers (no arm guards, neck guard, etc. ), because I rely on more of an attacking sort of play, kind of like a third defender. This requires me to run around and switch directions with ease, and to achieve this I need light, comfortable leg guards which will stay facing forward and slide beautifully. I find all of these things with my new OGO’s. While I’m on the subject of sliding, I’ll mention a reason for a lot of my past leg injuries. These injuries have always occurred during an attempt at a second save, when my pads have been swivelled around due to lying down on short corners or sliding at players. I will go for a save with my shin and then realise (usually when it’s too late) that there isn’t actually anything in between the ball and my leg. 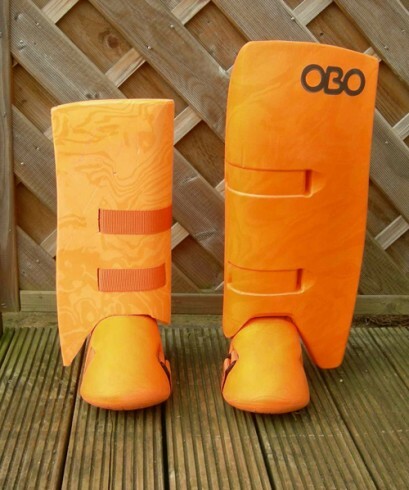 Luckily for me, this is a thing of the past with OBO’s nifty locking system (see my diagram), which has completely stopped my leg guards from twisting! After getting used to my old legguards, every time I pick up my OGO’s I’m still surprised by how light they are. I’m padding up, padding down, running, stretching, victory dancing, sliding and diving faster than ever before and it has changed my game substantially …for the better of course! Unlike other brands that I have tried, the fact that they are super lightweight does not AT ALL mean they have poor protection – which of course is an extremely relevant aspect, no matter how old you are. Yes, my OGO’s might not have the same amount of rebound as the famous ‘ROBO Hi Rebound’, but nevertheless I have still been amazed by their remarkable bounciness (apparently it’s a word). 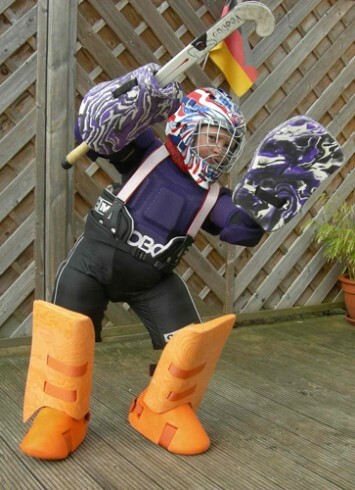 I have found the rebound of my OGO’s a very helpful aspect of goalkeeping, as it means I can make a quick, safe clearance out of the D without having to take a massive kick. 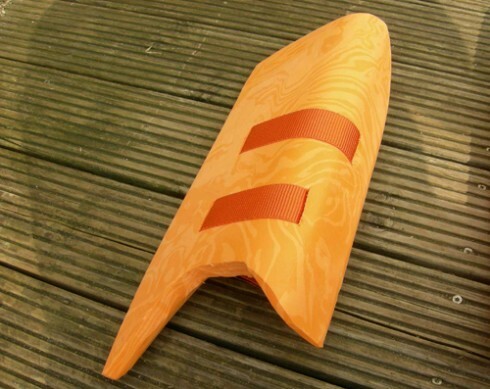 Another thing – these leg guards look so cool! You can tell me not to judge a book by its cover as much as you like but, in my opinion, appearance is a surprisingly large part of goalkeeping; looking good is feeling good, and feeling good means a whole lot of confidence. And everybody knows how important confidence is! I’ve thought and thought, and to be completely honest I cannot think of any problem with the leg guards. 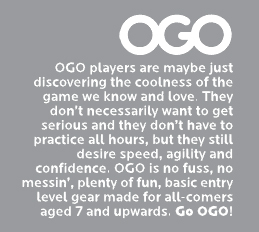 I’m playing under-fifteens at the moment, and when I move up to under-eighteens I will probably invest in some more expensive leg guards and kickers (I’m thinking hi control) because my OGO’s are not specifically designed for this age group. That isn’t a fault though, that’s a given. 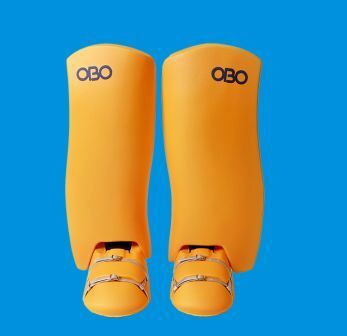 To conclude, the OGO leg guards have been designed beautifully and offer all of the amazing aspects that people around the world have grown to expect from OBO. I am 100% satisfied with them and can’t wait to play with OBO leg guards of a higher range. Please feel free to leave me a feedback comment and questions. 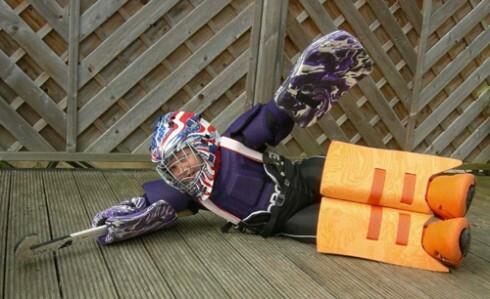 PS: You know how keepers like to whack their stick against their legguards? My OGO’s are so loud! A few days ago I hit my pads with my stick, and one of my defenders jumped about a foot in the air.